Google says that 734 saw Karuna on it’s site this month and five people asked for directions. That's a lot of people seeking a comfortable meditation seat. May Karuna be helpful in this search and may it bring benefit! Meet Susan. 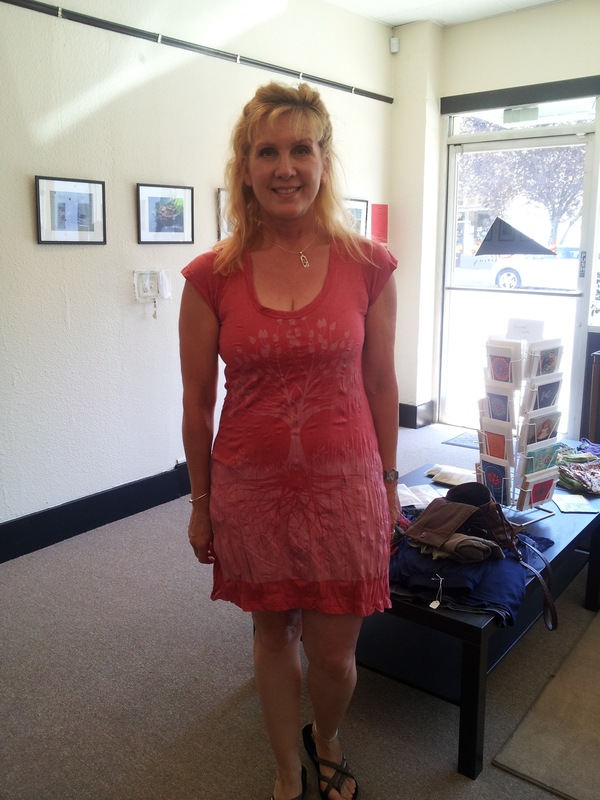 She is my favorite repeat customer :) On this day she bought this super cute dress and at my grand opening she bought the beautiful peridot necklace that is gracing her neck here. Thanks Susan! My favorite kind of customer – A man came in to buy an inflatable zafu. It’s a cushion that you can blow up, like an inner tube. Not only was he buying one but he was replacing one. He travels a lot and brings it with him wherever he goes. And he was leaving the next day so he was going to be putting it to use right away! I love this! My second favorite customers are people who bought at my original location. This week I found this out by accident by speaking with a customer. We were both surprised and thrilled that he had unknowingly already bought a cushions from me. The Portland Meditation Meetup is a group I started to encourage the practice of meditation among new and advanced practitioners alike. We started a book club and our first book was Joseph Goldstein’s, “Insight Meditation.” One thing I read really resonated with me. He posed this question. Can you begin to undo the strong conditioning in your mind that tells you that only pleasant feelings are acceptable? Sometimes someone who knows that I meditate will act surprised to learn that I sometimes feel sad, frustrated, annoyed, insecure etc. It is not uncommon for people to assume that if you have a spiritual path, you would never allow yourself unpleasant feelings. In fact, it is because I meditate that I am able to be present to ALL of my experience. Through meditation practice, I am breaking the chain of habitual bias that our minds so routinely return to. The practice makes me aware that I am unhappy. I don’t always know how to proceed with what is coming up for me but I know that by simply acknowledging that it is there, this is the beginning of clarity. Thank you Mr. Goldstein for putting into words a very important everyday quandary. How do you buy someone else a meditation cushion? 1) Don’t assume that they will use the same cushion as you. A yoga practitioner may be able to use a zafu but a person who is not very flexible will need more support. 2) Bodies are all different sizes –If you are buying for a very tall person and you are not, try out the bench that is your size so that you know what they will experience when they use the taller version. 3) Be sure to let them know that they can return it and try out other options if it is not a good fit. It’s ok if you didn’t get it right the first time, every body is different! Quality, not quantity - My friend is in a state of diress. He is in therapy and has tried meditation. He says that he can’t do it because his mind is so distressed and unfocused. He has tried sitting with groups but finds it too serious. I told him to just sit for 5 minutes a day. Sometimes we think that longer sessions will be bring better results but actually a shorter focused session will bring much higher quality practice. Keep it simple. Finally, the GM Market next door is owned by Mizrac and Girma. They are Eritrean. I’ve made a wonderful discovery! 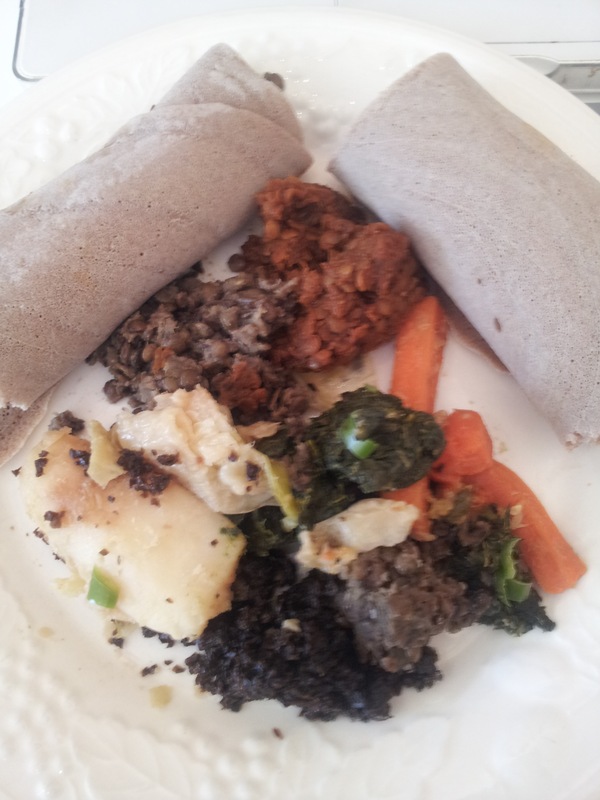 Mizrac makes homemade Ethiopian food and sells it there. I’ve become her biggest fan. Yum!! Karuna celebrates visual art! Our rotating art wall is happily housing Jay Stewart’s series’ of delicate and dignified paintings. Mary Garvey’s paintings go up in September and the party on is on Wednesday, Sept 2nd. 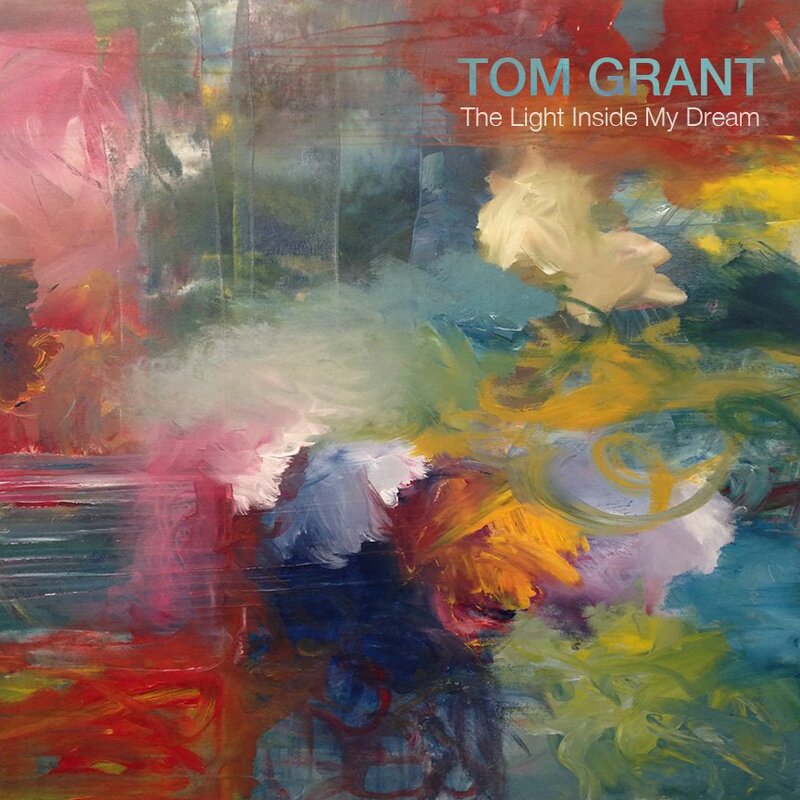 Tom Grant will be signing copies of his newest cd, “The Light Inside My Dream,” which is also graced with a Mary Garvey original painting. Mary’s works are luminous with light and emotive with shadow. This particular series has been made specifically for Karuna! FB event is linked here. Also, if you are an artist and want to be on the wall, contact me.